Called to the Bar in 2001 after having previously pursued careers in Merchant Banking and Management Consultancy. Having initially practised in both Crime and Family Stephen now practises solely in Family Law embracing all aspect of private and public law together with ancillary relief claims with frequent instructions for Parents, Guardians and Local Authorities. His previous experience as a criminal practitioner is particularly advantageous where the facts of a case may lead to dual proceedings in both family and criminal jurisdictions. Special interest in high net worth ancillary relief claims where his commercial experience is of significant value. 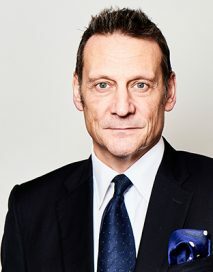 Stephen is experienced in all Courts including the Court of Appeal. P (A Child)  EWCA Civ 1972 : representation of the Respondent in an Appeal (dismissed) against the committal to prison of a Mother for repeated breaches of contact orders.